London car owners pay twice for car insurance than the rest of Britain By Brijesh B.
Londoners pay double the car insurance cost when compared to the rest of the Britain. Simple reasons are the risks associated with urban driving as well as the cost of the expensive cars. Well, it is no surprise that London is an expensive place to live in. Starting from homes to car insurance, everything is costlier than the rest of Britain. The capital of England has its own charm but definitely comes with a higher cost of living. According to the latest reports by an independent survey, it was discovered that Londoners pay twice more in car insurance cost when compared to the rest of Britain. stics, the average cost of insuring a car in London turns out to be £1,460. This is almost double than the rest of the Great Britain where the average cost of car insurance is around £714. When the highest insurance cost was compared with the lowest, which is paid by the people of South-West, a stark difference of £800 was observed between the two. One of the biggest reasons for such high cost of car insurance is the expensive cars. Londoners can easily boast of some of the priciest cars in the country and the average price of a car in London is calculated as £10,232. While Nissan Qashqai bears a handsome price tag and costs around £10,416, its premium turns out to be £822, which is the cheapest model to insure. Contrary to that, the premium of Volkswagen Golf is calculated as a whopping £1,593 while the cost of the car itself is £11,066. Talking about the costliest cars, the Mercedes Benz E Class tops the charts with a price tag of £19,099 and an insurance cost of £1,444. Leaving behind the Merc is BMW 3 series which demands you to pay £1,745. The basic reason apart from the pricey cars is that there are more chances of accidents and car thefts in urban areas than in the rest of the places in the country. Drivers in city areas are riskier to insure than those in the countryside and thus, car insurers charge higher premiums from them. Although, you cannot change the place you live, you can certainly take measures to cut down the insurance costs. These steps include parking cars in garages, using the Black Box/ buying a telematics policy, adding a valid driver to the policy and more. You should also shop around to find the best motor insurance provider in the UK. This may sound like a Godzilla sized task but we can help you combat it by comparing the best quotes and suggesting you the cheapest of all car insurance providers in the UK. 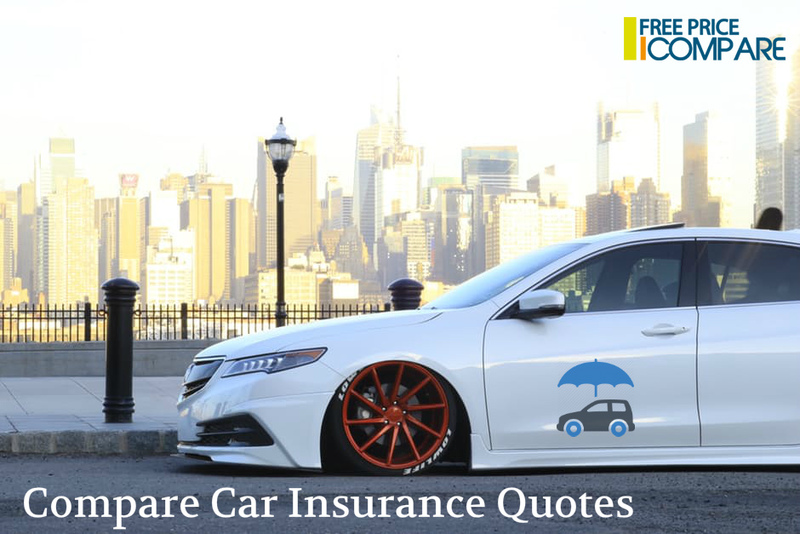 To know more about our price comparison services, you can check our website https://freepricecompare.com/car-insurance/ or call our friendly and reliable team of comparison experts on 02034757476. Brijesh is a financial advisor at Freepricecompare.com and a passionate blogger. He writes on personal finance and money-saving tips. He suggests all UK motorists to compare car insurance quotes before accepting renewal quote with existing supplier. When he isn’t writing, he is spending time to find advance technique of farming and its way of applying. He also plays his guitar gifted by his father.